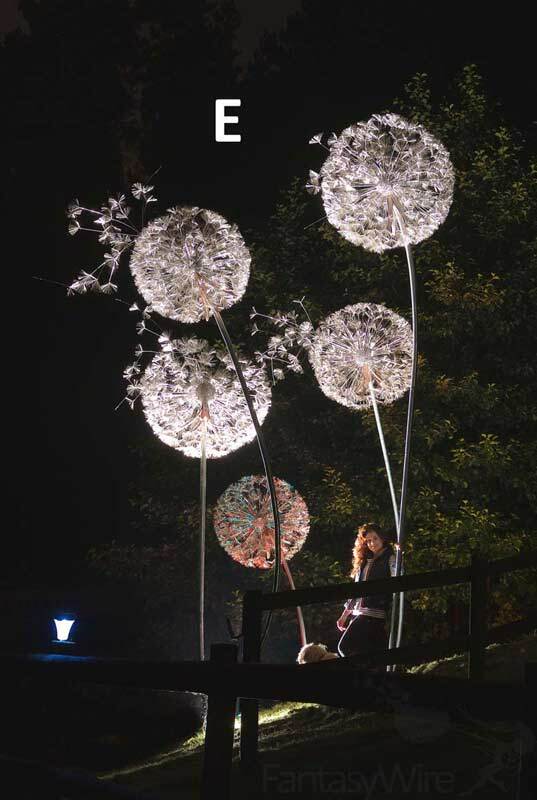 Our Garden Dandelions are 2M tall and sold separately. You also have choices of a stainless steel or brass stem, and hand beaten copper or brass leaves. 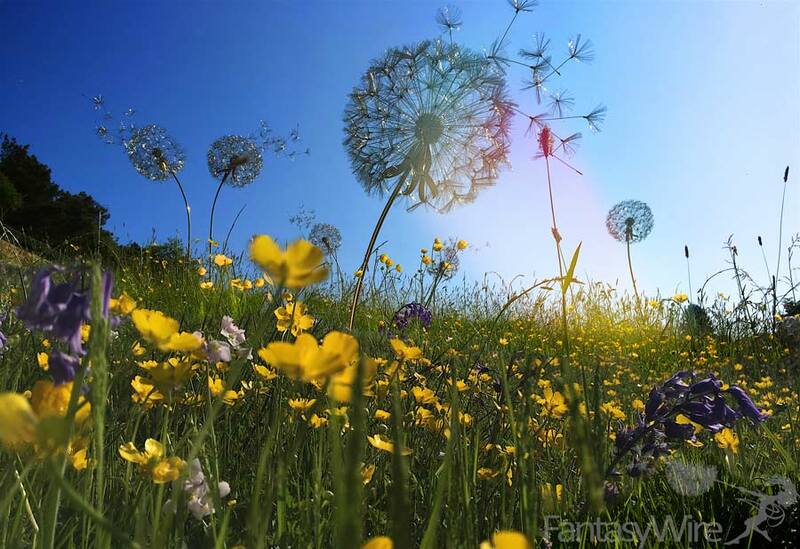 This allows you to create your own perfect dandelion for your own garden. 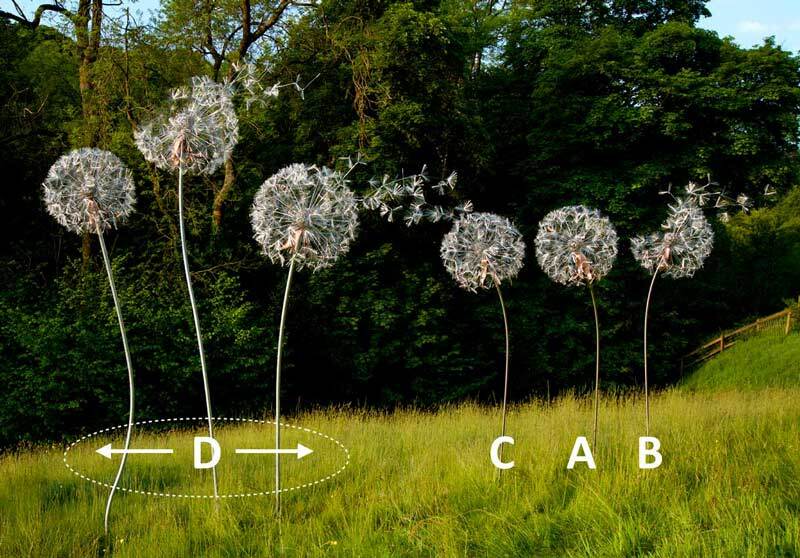 The Meadow Range (illustrated as D) comprises of an arrangement of 3 x 3M dandelions. The stems are formed to compliment each other and provide the perfect statement piece for the larger garden. 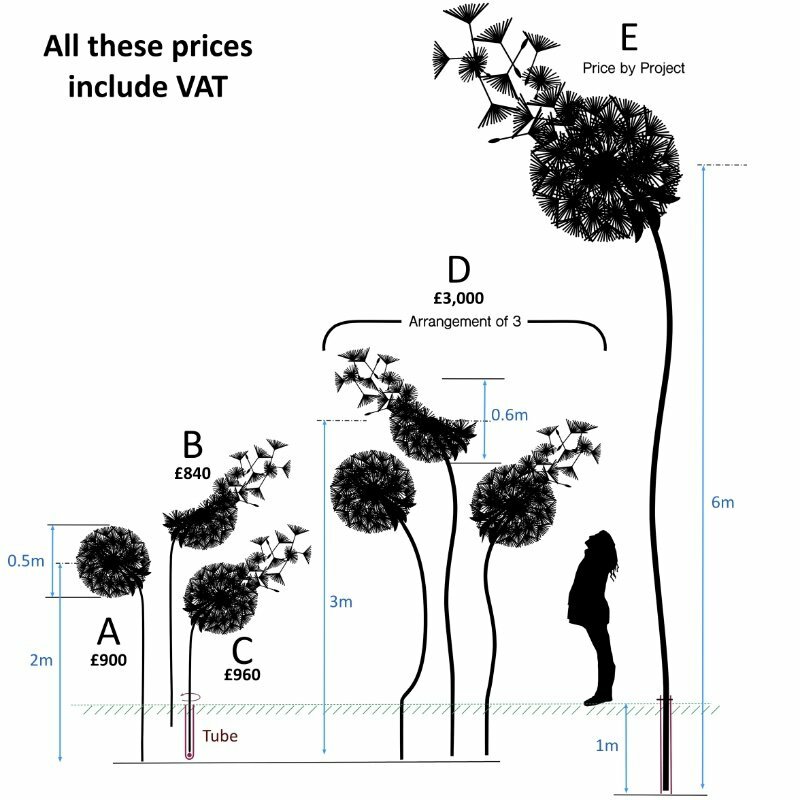 We also undertake commercial projects (option E) We can supply steel sculpture dandelions up to 6 meters tall. 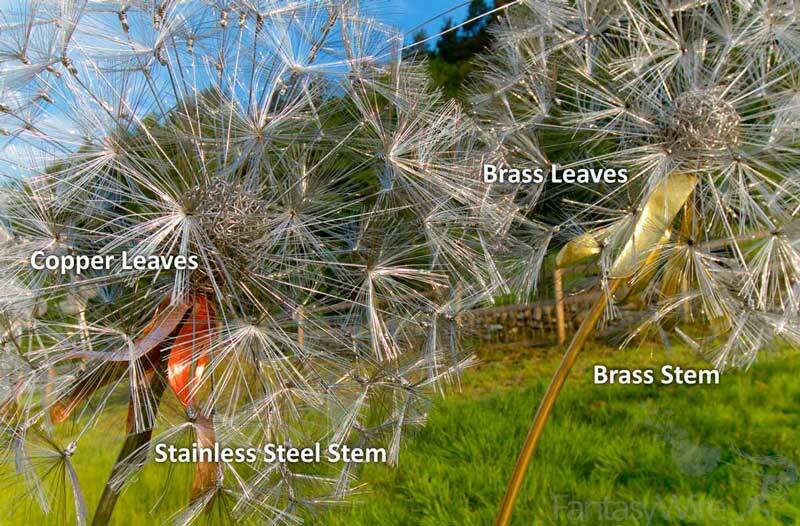 All Dandelions are made to order in the UK. If you require pricing or further information please email us.